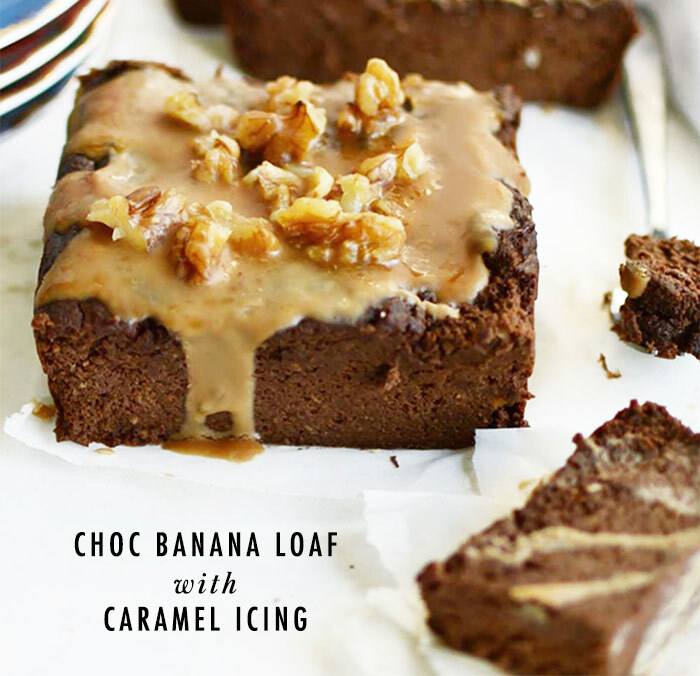 In a food processor, place the avocado, bananas, almond butter and maple syrup. Blend until smooth and creamy. 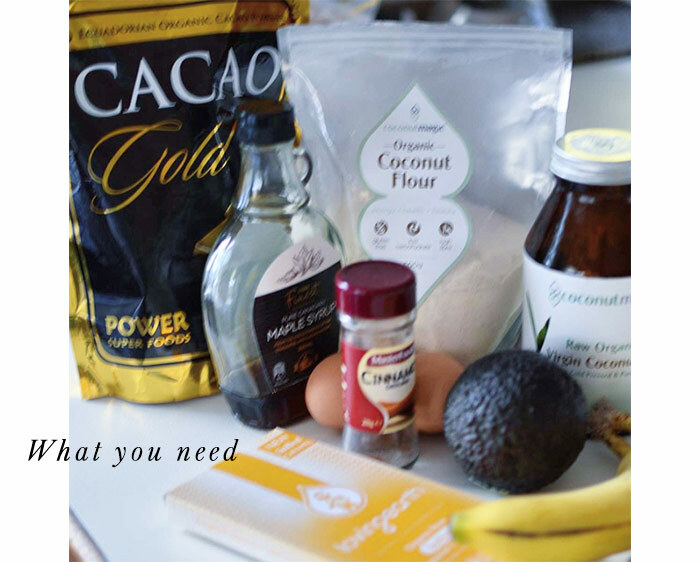 Place this mixture into a mixing bowl with the cacao, coconut flour, almond meal, coconut oil and eggs. Mix well. 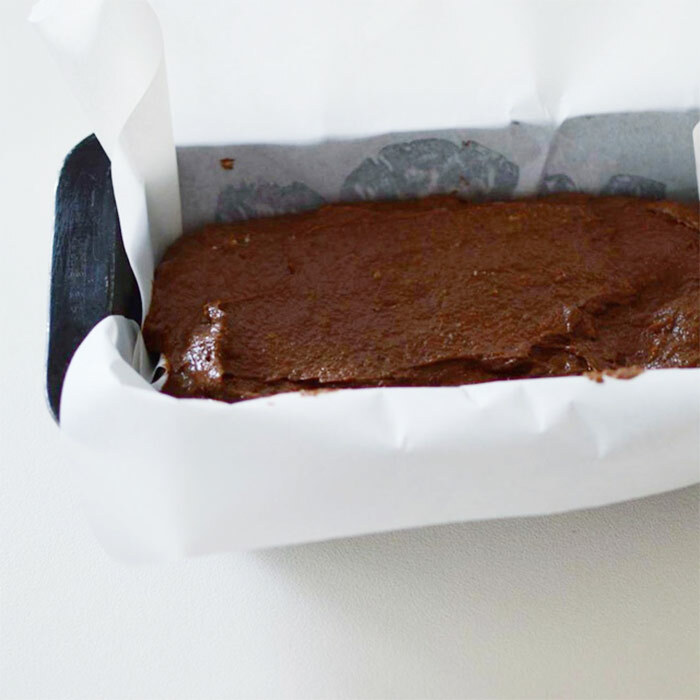 Pour into a small loaf tin lined with baking paper. Bake for around 45 minutes. Test with a skewer as oven times may vary. 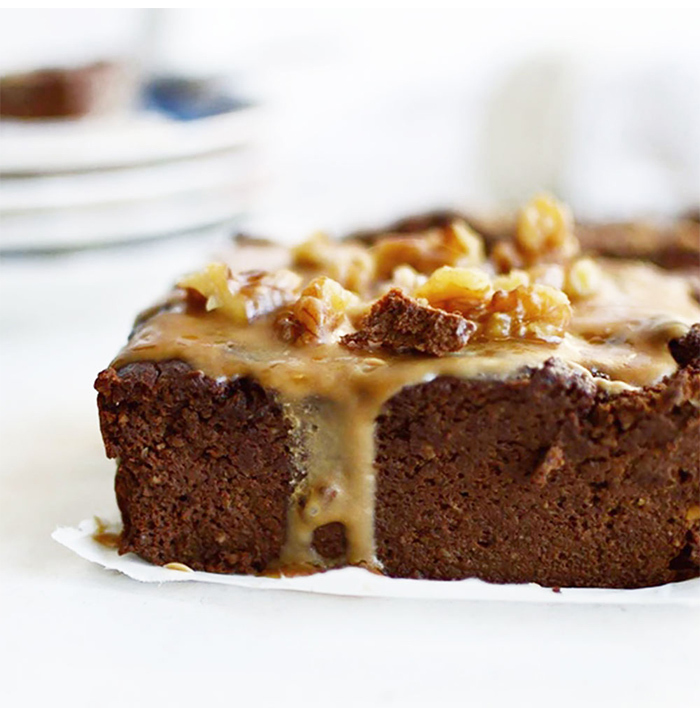 Drizzle with the melted chocolate and crushed walnuts. Best eaten on the day of baking.